Toxins, also known as pollution, are no longer just a by product of the industrial revolution. They now, unfortunately, make up the base components for the majority of the cleaning, cosmetic and even food products we are exposed to everyday. Notice I said food products. YES! They are in the the majority of the products that we consume as “food” too, which is why I am so passionate about not only getting people to fuel themselves properly, but also getting them to reduce their exposure to these environmental toxins as much as possible. How are these toxins effecting our bodies? 1. They are hormone disruptors – They disguise themselves as hormones… sneaky! When these toxins enter your body, it can cause a bit of confusion. Several of these toxins actually mimic hormones and inadvertenly keep the body from producing the actual hormones it needs. The main function of hormones is to go around telling the body what needs to be done, they are messengers. This disruption in the messages is especially true for our thyroid gland which is particularly sensitive to chlorine, fluoride, mercury, pesticides, and other toxins. The thyroid gland is also one of the main regulators of our weight so when we are getting mixed messages about what hormones we actually NEED the result can lead to an imbalance in our hormones levels, leading to weight gain, trouble sleeping, foggy brain and even high blood sugar, which can lead to diabetes. 2. They get stored in our fat cells. The majority of the energy we spend every day is put toward two things. Digestion and detoxification. 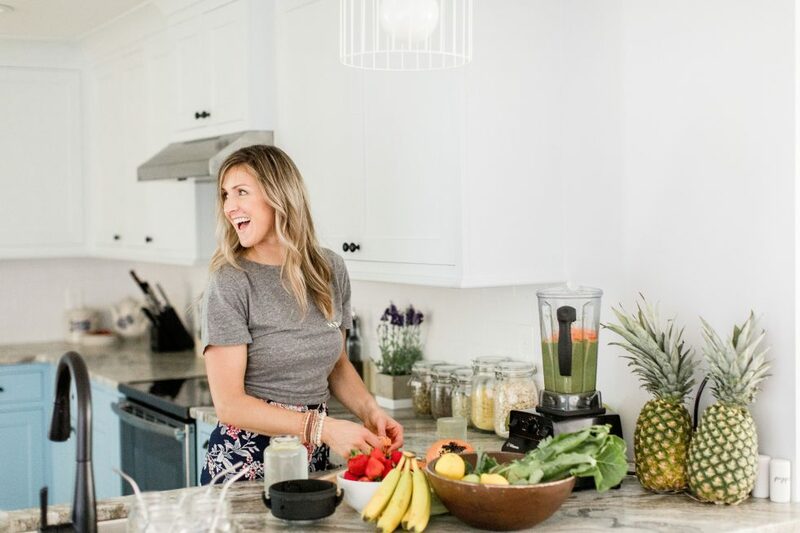 Yes we are suppose to be detoxifying our bodies on a regular basis, it is not necessarily some crazy pooping diet that we go on to lose weight. Our bodies do it so that our cells are not all gunked up and can function at full capacity. They can restore, renew and regenerate every aspect of us. When our body is overwhelmed with toxins they can no longer effectively detoxify and the last place our bodies want those toxins is hanging around in our blood stream and wreaking havoc. So do you know what our bodies do? They sweep those chemicals up and store them in our fat cells. This interferes with weight loss and in many cases makes it more difficult because our bodies do not want to let those chemicals go, especially if we haven’t fixed the root cause of the toxin exposure. Our bodies want us to be fit and lean but they will not sacrifice our health to do it. In fact they will actually make it harder for us, to protect us. 3. They leave you feeling sluggish and tired ALL THE TIME! As I mentioned before, besides digesting our food and turning it into easily absorbable nutrients, our bodies main responsibility is to detox us. When it is over loaded with heavy metals, environmental toxins and chemicals it takes twice as much energy to do the job it is suppose to be doing. That leaves us with little energy to do much else, let alone exercise. When the your body is no longer bogged down by excess toxins it can leave more energy for all those other things we want to do. Also when we are tired and forcing our bodies to stay awake our bodies call for more energy, in the form in of food, high carb food. If we are not burning those calories off we also store them as fat as well. Remember when you were a kid and would get super excited and this insane burst energy would wash over you? And to think you had not even been introduced to coffee yet. That energy came from the fact that your system was a well oiled machine and not all gunked up. So YES, I am saying that you can have that feeling again. It is not something of the distant past or only available to your former younger self. It can be obtained by being more mindful of what you expose yourself to on a daily basis. If you are interested in detoxifying your life, check out these products. This is a brand that I know and trust. They have everything from household cleaning products, to cosmetic, skin care, child and even pet care, and they are affordable! If you have any questions at all about diet, exercise or going non-toxic or the Pure Haven brand of products please don’t hesitate to comment below!